● Custer started 12th, finished 23rd. 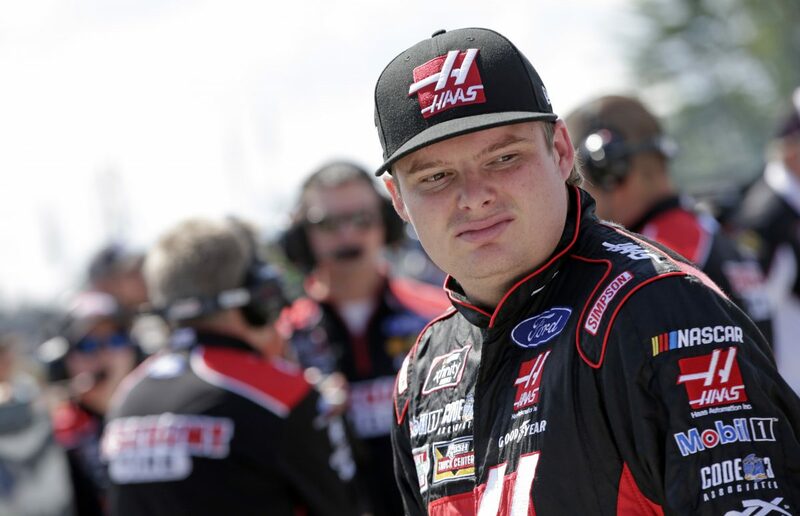 ● Custer powered the Haas Automation Ford into the top-10 on lap 11. ● He pitted under green-flag conditions on lap 17 for four tires, fuel and air pressure adjustments. ● Custer noted tight-handling conditions throughout Stage 1 and opted not to pit at the conclusion of the stage. ● Custer started fifth, finished 17th. ● Custer fell to 10th place until a caution was brought out on lap 27. He advanced to eighth-place. ● On lap 30, inclement weather forced the field to the pits for Goodyear Eagle rain tires. During the caution, an issue placing the windshield wiper demoted the Haas Automation Ford to 14th place. ● The Haas Automation driver pitted on lap 36 under caution and switched back to slick tires along with a refill on fuel. He restarted in 18th place and conservatively ran inside the top-20 due to wet track conditions. ● He did not pit at the end of Stage 2. ● Custer started seventh, finished sixth. ● Custer climbed to the third position by lap 50. ● He pitted under green-flag conditions on lap 52 for fuel and exited pit road in the ninth spot. ● After a final caution on lap 71, Custer battled in the seventh position and advanced to sixth before the race concluded. ● This marks Custer’s 15th top-10 of the season and first at Watkins Glen. ● Seven cautions slowed the race for 20 laps. ● Only 23 of the 40 drivers finished on the lead lap. ● Joey Logano won the Zippo 200 to score his 30th career Xfinity Series victory, second of the season and third at Watkins Glen. His margin of victory over second-place AJ Allmendinger was 3.362 seconds.